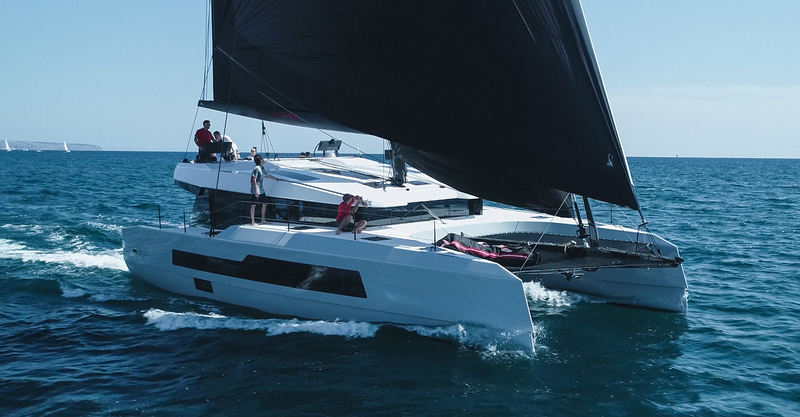 Introducing the McConaghy Multihulls. This catamaran series from McConaghy – a shipyard with amazing pedigree for the build of high quality, strong, racing boats – features naval architecture by Kerr Yacht Design and interior schemes by Design Unlimited. The range encompasses the MC50, MC60, MC68, MC77, MC82 and MC90, as well as a power version – the MC59p. 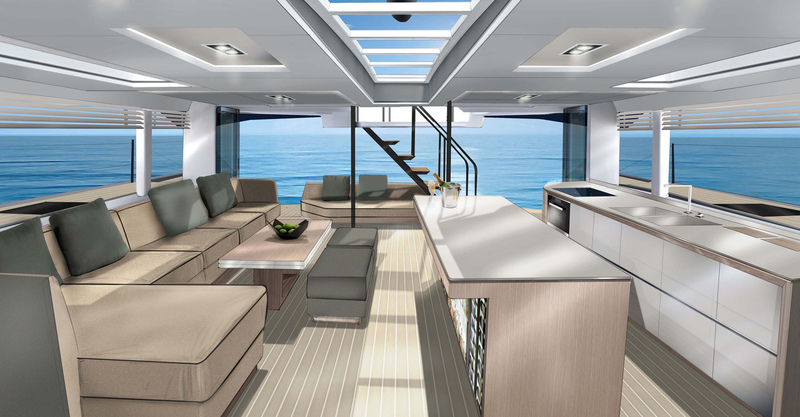 What particularly differentiates the MC50 catamaran from others on the market, is the flybridge – which is wrapped around the top of the aft deck. Twin carbon helms are also a notable feature, a nod to the high performance aspects of this vessel. 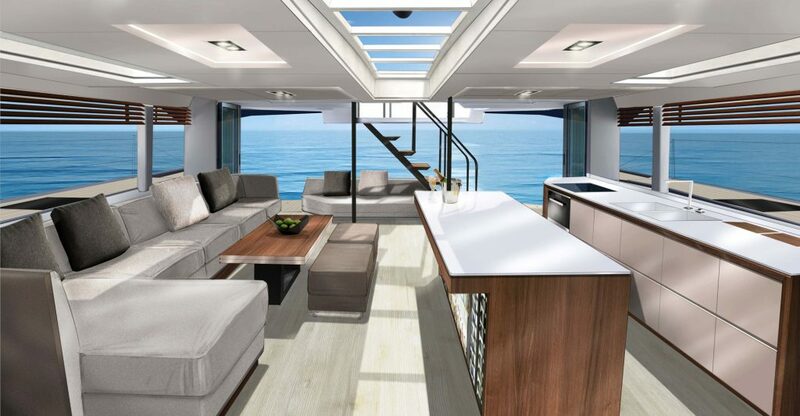 Design Unlimited were called upon to create an interior that capitalises on the catamaran’s high volume, whilst remaining in-tune with a sporty performance and adding a touch of high-end luxury. Skylights bring additional natural light to the saloon and carbon-framed glass doors connect the interior with the aft deck, making for a particularly open feel. 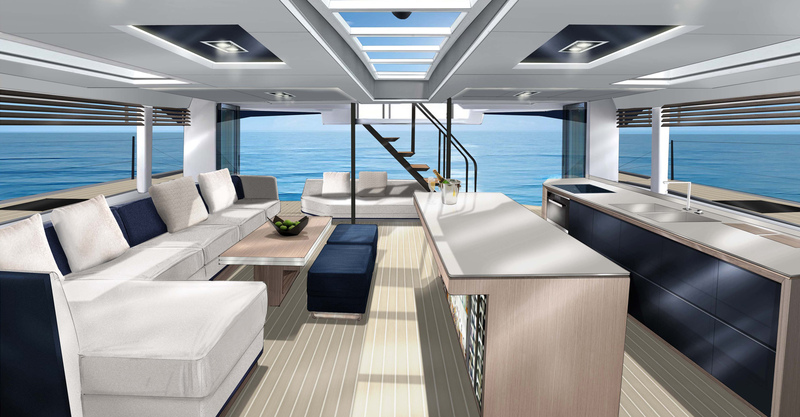 Although production yachts, the interiors offer various customisable elements, including cabin layout and overall colour palettes. The interiors are finished, upholstered and detailed to the highest standards. 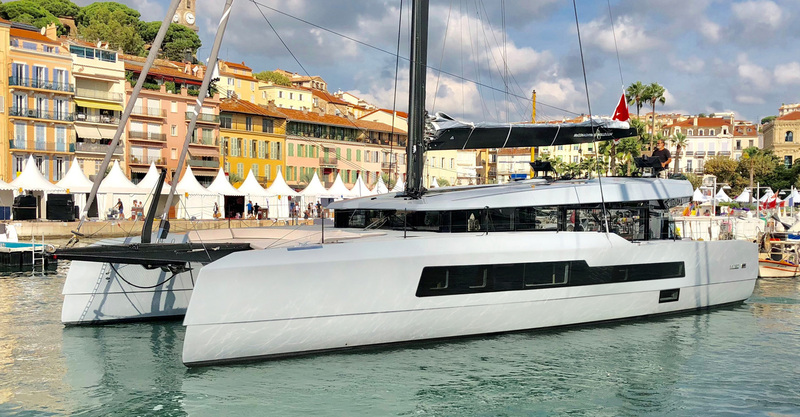 The first of the MC50’s and MC60’s have now been launched, with both receiving nominations for Multihull of the Year, 2018 and 2019 respectively. 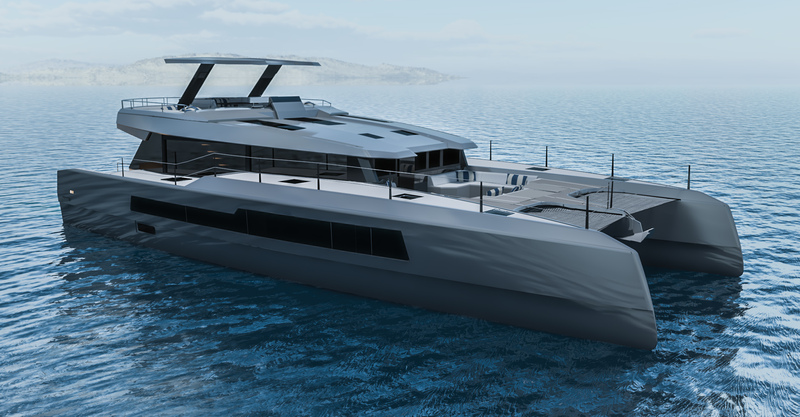 Full specifications, arrangement plans and details for the MC50 catamaran can be found here.